In Luke 24 we see Jesus, after the resurrection, appear to his disciples. Two of the disciples have just invited the man who was walking with them on the road to stay the night, they didn’t recognize him as Jesus until he broke bread. Then Jesus disappears from their midst. And then Jesus shows up in their midst again. They are still startled, recognizing him as Jesus, but thinking it is perhaps a spirit and not really him. They hand Jesus a piece of broiled fish, and Jesus eats it. Then Jesus explains the scripture and the prophecy and their responsibility to proclaim repentance and forgiveness of sins to all nations. I am stuck on Jesus, in the midst of his disciples freaking out that he’s there and alive, asking for food. My tunnel vision for all things embodiment is surely at play, but it is such an interesting moment. The bread makes sense – so closely mimicking the breaking of bread just a few days prior. This is a natural memory cue. 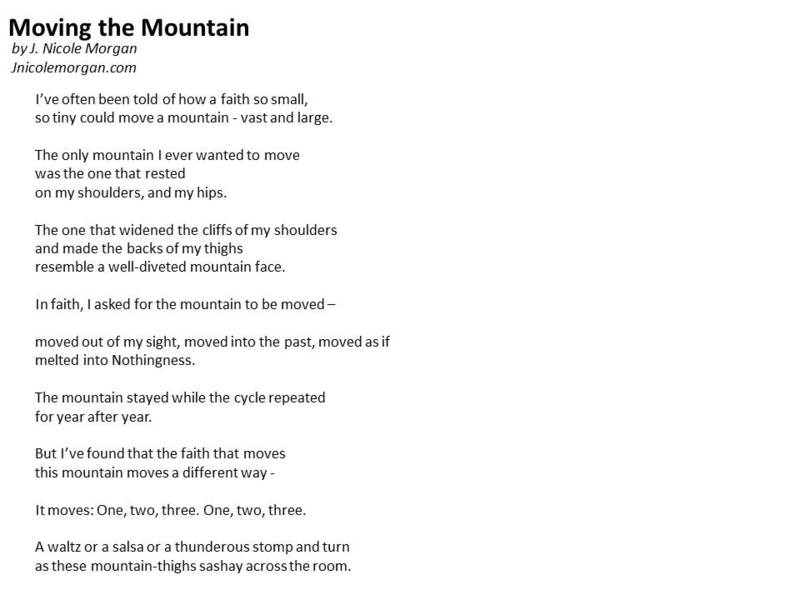 And a few verses later that body ascends to Heaven – holes in his hands, digestive tract in tact. Disciples are trying to figure out why they’re seeing the previously dead Jesus standing before them. And Jesus asks for food. It seems ridiculous. It seems inconsequential. It seems incredulous that the risen Messiah, Jesus the Christ is hungry. How base, how completely human to be hungry. Which is exactly the point. Jesus took on the form of human. Jesus was incarnated into body. We live an incarnational faith. We have a long history in Christianity that devalues the body, that makes the body less than the spirit and soul. I believe these thoughts are more connected to the ideas of Plato and the Gnostics than to Jesus Christ and the Christians. Over and over again in the Bible, God honors the body and esteems it – starting from the very beginning when humans are created in the image of God and including the ultimate endorsement of human body when Jesus Christ showed up on earth with hands and feet and human hunger. Our bodies matter for a whole host of reasons – not the least of which are that they are created in the image of God and that their value is proved when Jesus shows up in human flesh. God’s provision for the body in the form of food and nourishment is repeated throughout scripture. Manna from heaven. Ravens in the desert. Oil that never runs dry. Land of milk and honey. 5 loaves and 2 fishes. Nets that strain underneath the weight of their catch. A piece of broiled fish. 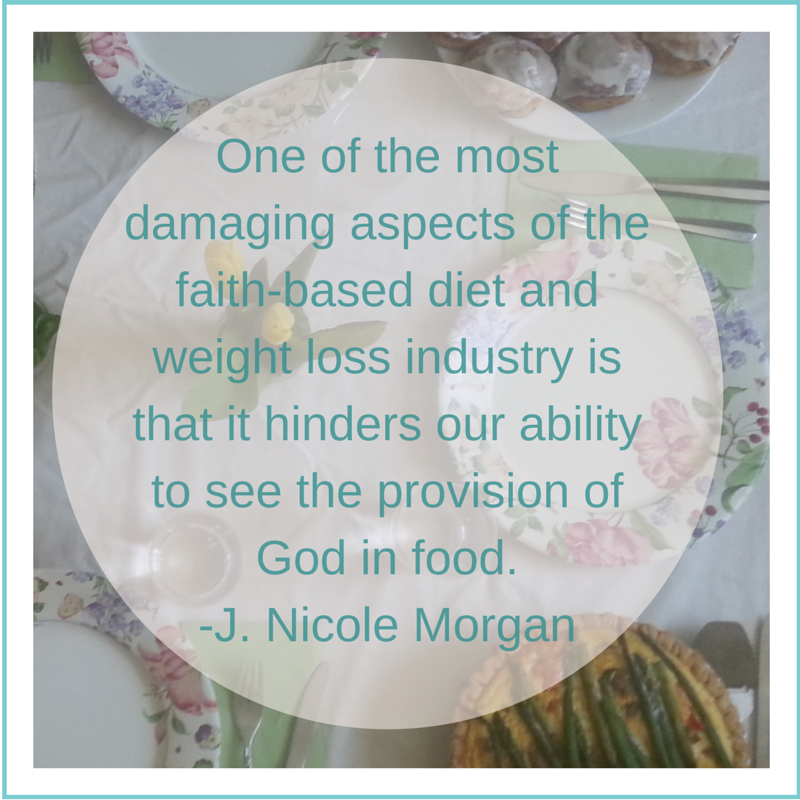 I often think that one of the most damaging aspects of the faith-based diet and weight loss industry is that it hinders our ability to see the provision of God in food. If we allow it and we are so privileged to have it: food is a constant reminder of God’s provision in our life. Multiple times a day we eat. We put in sustenance that nourishes our mind, body, and soul. Alone or in groups – this is a chance for us to stop and remember to be thankful. And I believe that if those privileged enough to have ready access to food take the time to enjoy it rather than fear it – we would be more in tune to the needs of those who do not have food security. 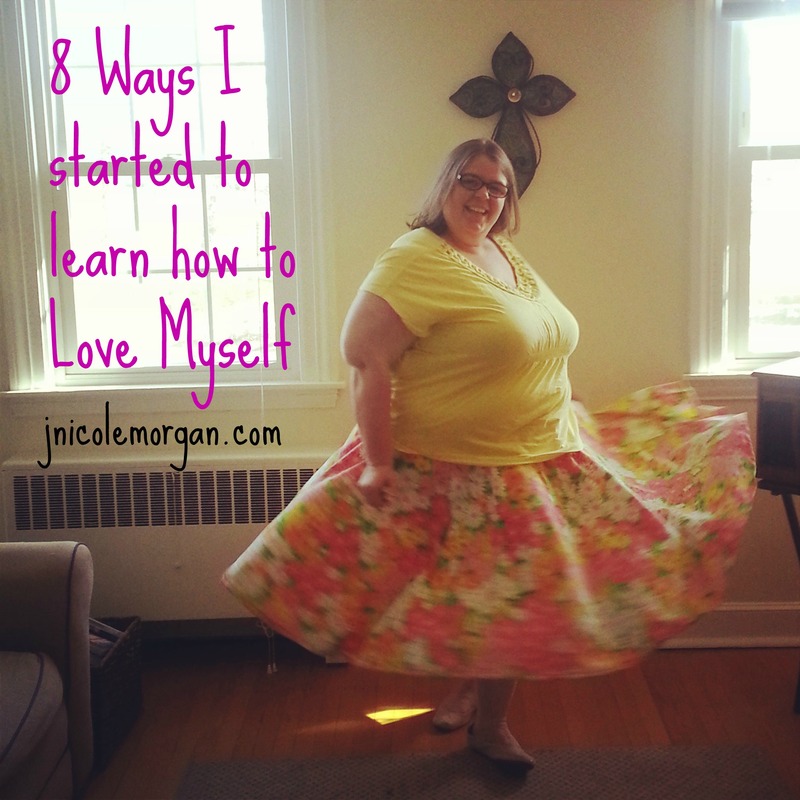 For so much of my life I thought that I was supposed to act like I didn’t like food since I was fat. I was supposed to suppress any pleasure I got from the satiating nature of food or the way the tastes heightened my senses. I was supposed to feel guilty about the starving children, as if my fear and sense of failure could help alleviate that tragedy. Our culture at large and the Christian diet industry specifically largely sees food as an enemy, temptation, guilt, rules, and something to be feared. In addition to our own nourishment needed for survival – food is a way that we enjoy life. If we are so blessed, food is not tasteless, bland, and boring. It has flavor and texture, intoxicating smells and visual appeal. I do not believe this is an accident – food is a good and beautiful gift given to us by the creator. Yet, we fear it, we fear what it will do to us if we enjoy this gift. There are good and true teachings and practices for fasting. There are things to be learned from periods of abstaining. But, for the vast majority of us, these practices of extreme deprivation are not how God calls us to live our lives. We are right to avoid an over-indulgence that comes at the cost of exploiting others or become hedonistic, but this does not mean there should be no joy in food. Food draws us together; it provides community. In John’s gospel we see a different post-fish resurrection story. Jesus gathers with his disciples on the beach, as they had done before. There are feasts and festivals throughout the Bible. We are invited to a great Wedding Feast. Our cultures and our touchstone moments often place food in the spotlight: holiday feasts, birthday cake. When we invite neighbors over, we fire up the grill, pop open the wine, pass the basket of bred. Food sustains us in pleasurable ways. It draws us together. It is part of being a body. After the resurrection, as Jesus is taking the time to appear to his disciples and remind them of what is important and to give them their instructions for how they are to live their life – he takes a moment to remind them that he is body, that body matters. In a world where we are still desperately trying to make our bodies acceptable to God, I do not think this is a small thing. To think of the body of Jesus during Holy Week is nothing out-of-the-ordinary. 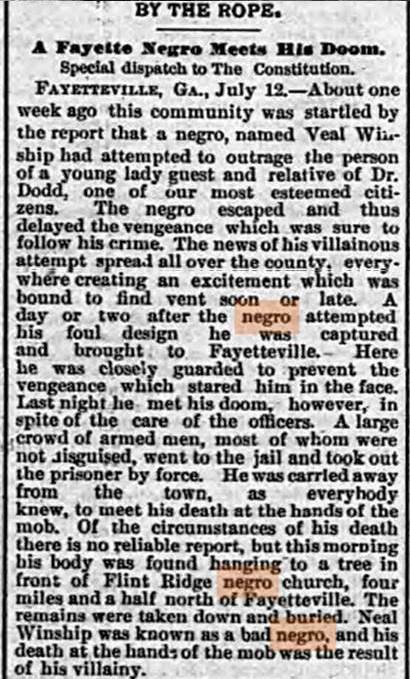 We know well the scenes of how his body was flogged with whips. We know that his back carried a rough wooden cross as his feet and legs carried him through the crowded streets of Jerusalem. We know that his hands were pierced by nails, his side speared, and his brow felt the painful impression of a crown of thorns. We know that his body died. We know that somehow, mysteriously, bread and wine become his body and his blood and we join in this story of love. These painful, sacrificial moments in the literal body of Jesus are center stage to Holy Week. Yet this week I have been paying attention to other ways the Body of Jesus was treated during the days surrounding his death and resurrection. 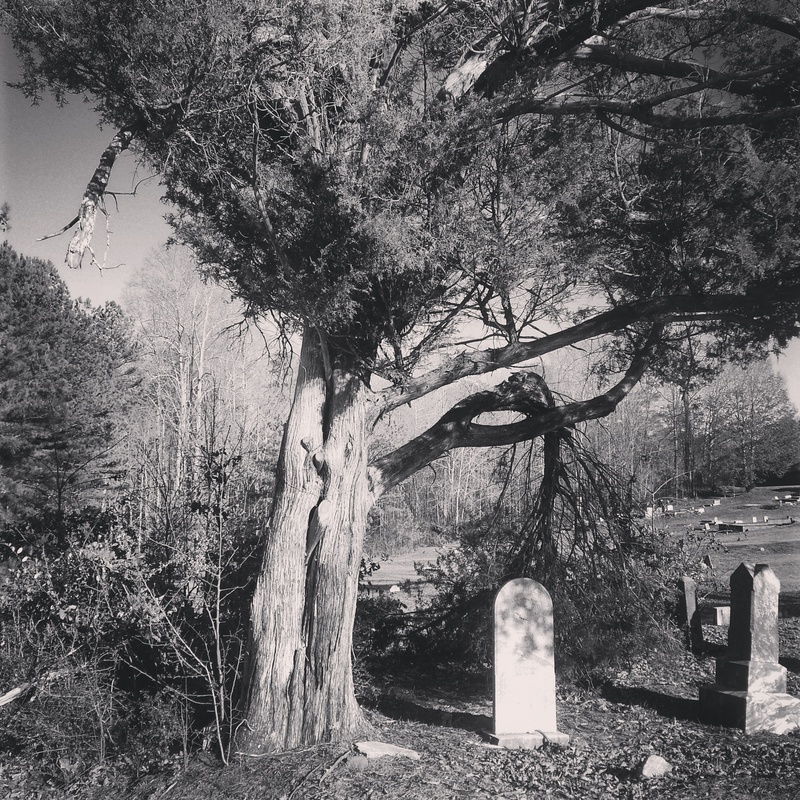 There are two striking stories that frame the death of Jesus. Both involve women. Both involve loving and tender care for Jesus’ body. This focus on life and beauty a bit of foreshadowing perhaps for the resurrection that will soon come. 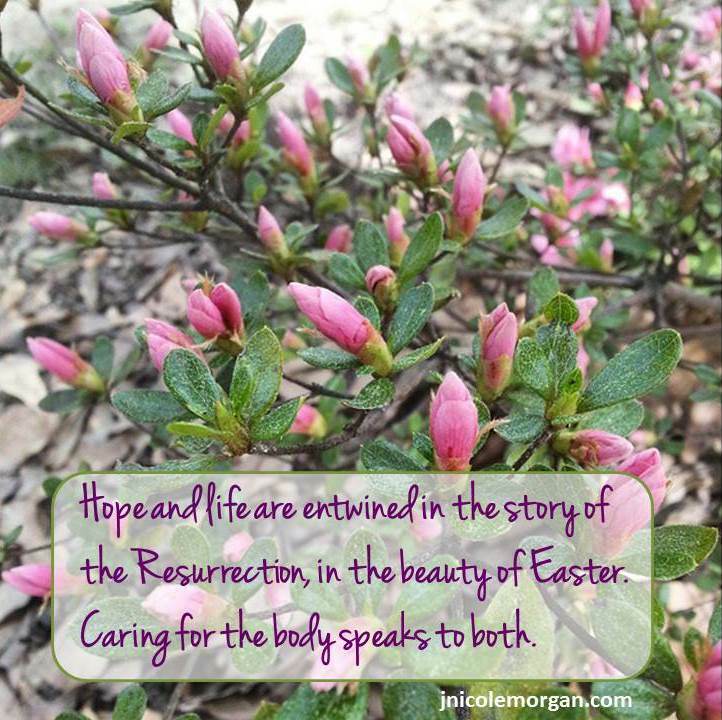 Hope and life are entwined in the story of the Resurrection, in the beauty of Easter. Caring for the body speaks to both. All four Gospels tell the story of a woman who anoints Jesus with costly oil. Some of the details differ, but the story is there.During the week in which Jesus will celebrate Passover with his disciples – where he will say, “This is my body, broken for you” – a woman approaches Jesus, breaks a jar of expensive oil, and pours the fragrant offering onto his body. The oil goes on his head or his feet depending on which gospel author is telling the story. The men who have joined Jesus at the table dismiss this act. They call it wasteful. They say there are better things to do with precious oil than to spill it on the body. Jesus honors this act of tender care for his body, this act of love and worship. And then, some time later after women stood near the cross and watched the bruised and bleeding body of their Lord breath his last, they returned to the tomb where he had been placed. We are told that these women, and others, ministered to Jesus while he was in Galilee. (Mk 15:41) These women knew the Messiah. They gave tender care in life and death for the man who had been their friend and teacher. Part of me wonders how much this attention to the body of Jesus is due to the fact that Jesus saw their bodies and called them good. These women lived in a culture that called their bodies and lives “less” – where their bodies were regularly deemed “unclean” for days at a time. This is a Jesus who heals women from diseases and enters them back into society as a result. A Jesus who stands on the side of a woman whose body has been used in sin and tells her accusers to lay down their stones. This is a Jesus who protects the bodies of women, and they honor his physical body in life and death. I used to beat myself up with Romans 12:1 – offer your bodies as living sacrifices – certain that verse meant I needed to beat my body into submission to whatever was deemed to be the “correct” way of having a body. The way that Jesus honors the expensive, wasteful, extravagance of oil poured over a body reminds me that offering our bodies as sacrifices does not mean making them conform to a worldly standard. There is no size or health requirement to live as Christ. There is no exclusion for who can offer their heart, their life, their all up to the transformative life of following Jesus the Messiah. Jesus tells us even those excluded by traditional authorities are welcome. Even the sacrifices that don’t make sense to others have a place. There is room in the Gospel story for the truth of tender love, care, and attention to the body. One body-positive “activity” that I first hear from someone many years ago is to put lotion on your body. Arms and legs, torso. This act not only nourishes your body as an act of self care, but it allows you to feel your own body – the curves and the lumps. Smooth or bumpy skin. You begin to know your own body. If you actively practice body-positive statements and thoughts during this, it’s a move towards accepting your body. I’ve had this exercise in my mind while I’ve been thinking about the anointing of Jesus’ body. There are differences: Lotion, not ointment or spices. Your own hands, not the hands of another. But, perhaps you might like to consider taking the time this Easter weekend to put lotion on your body. It is one way to remember the tender, loving moments of Holy Week and remind yourself of the way Jesus calls the body good and worthy and important. One thing that’s been fun over the past decade as I’ve learned to eat intuitively – out of hunger or desire – rather than based on some set of rules, has been discovering what I like. I’m a bit of a foodie. I love vegetables and food preparation techniques that are way too time consuming to be practical in my life. Arugula is my favorite type of leafy green. Few things relax me more than wandering through farmers markets and I have, on more than one occasion, read cook-books cover-to-cover. Learning to accept these “foodie” parts of me has been its own, mostly exciting, journey. I think perhaps one of the most surprising things that I’ve learned about my own food tastes is that I have no desire to eat chocolate chip pancakes. Somehow I believed that because I was fat, I was supposed to inexplicably love all things dessert – chocolate and whip cream on your breakfast included. I turned them down with the conscious thought that I was saying no to a “forbidden” thing I was supposed to crave. Turns out, I don’t crave them. Not at all. 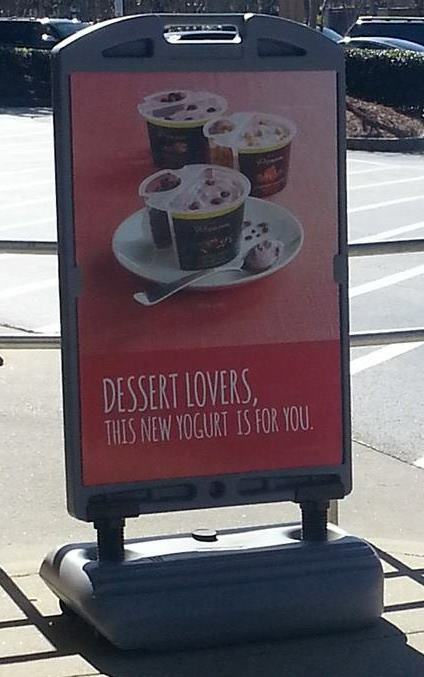 Turns out I have a very strong aversion to dessert “flavored” things that are not dessert. Leave the cheesecake out of my yogurt. The words “chocolate chip cookie dough” do not belong anywhere near the “healthy energy bar” aisle. And for goodness sakes, please leave the chocolate out of my breakfast! For the record, in case you ever have me over to dinner. My hands-down favorite dessert is a home-made cobbler. Warm with a crunchy oat topping. On Sunday, the congregation lined up down the outer aisles of the church to walk forward and receive the bread and the wine. We took communion via “the ancient practice of intinction” as the chapel leaders at seminary would say. A piece of bread, the body of Jesus, dipped into the wine, the blood of Jesus. I had made my way back to my pew and sat, facing forward, hearing the murmuring whispers of the body of Christ: broken or you, the blood of Christ: shed for you repeated over and over again as the congregants took the bread and wine, body and blood. The gentleman’s hand shook as he raised it from the walker to take the bread. And when he lowered his hand towards the goblet, it came down with an unintended force, splattering the wine up his hand. His face gave away his frustration, but he placed the wine-soaked bread in his mouth, returned his hand to his walker, and made his way back down the center aisle. Then a young woman stood from her seat and met him in the aisle. She had a white tissue in her hand as she reached for his, gently wiping away the splattered wine. And there it is. The body and the blood – that’s what the body and the blood looks like when it’s moving and living. It looks like a towel wrapped around the savior’s waist – kneeling to wash the feet of his disciples. It looks like a tissue in the hand of a young woman, rising to clean the hands of an elder. Much of my fat theology centers around the idea that all bodies are made in the image of God and that our bodies are not any less important than our soul or our spirit. As I’ve attended this new-to-me church the past few months and watched the way they care for the lives and bodies of the aged and the sick, I have seen beauty. And these aged bodies are not just cared for, they are not just passive participants in the life of the church, no one blinks an eye that the age range of the church is reflected in the age range of those who serve and lead and do the life and ministry of the church. Call it the ignorance of youth – but thinking back on previous church experiences: this is new to me. It is new to me to see the aged and the elderly so frequently in leadership positions. It’s beautiful, and right, and good. Any size, any age, any ability: fearfully and wonderfully made and called according to God’s purposes.